Follow me on Twitter and LinkedIn! 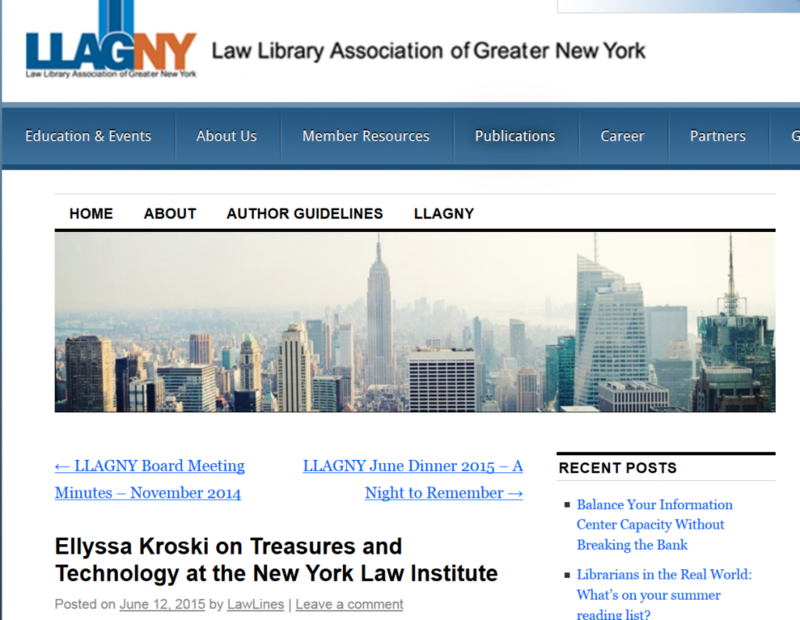 Kristen Perez for LLAGNY’s Law Lines, June 12, 2015. 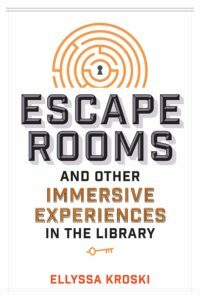 Interviewed by The American Library Association. Interviewed by: Information World Review (UK). 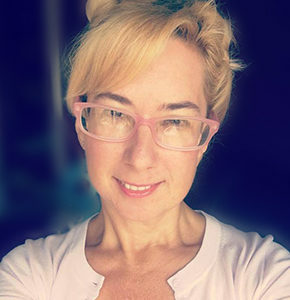 Ellyssa is the Director of Information Technology at the New York Law Institute as well as an award-winning editor and author of 37 books including Law Librarianship in the Digital Age for which she won the AALL’s 2014 Joseph L. Andrews Legal Literature Award. Her ten-book technology series, The Tech Set won the ALA’s Best Book in Library Literature Award in 2011. She is a librarian, an adjunct faculty member at Drexel and San Jose State University, and an international conference speaker. She has just been named the winner of the 2017 Library Hi Tech Award from the ALA/LITA for her long-term contributions in the area of Library and Information Science technology and its application.